Justin Bieber didn&apos;t keep his word when he told GQ he&apos;d wait to get a face tattoo until he was middle-aged, unless he considers 22 to be "really old." Bieber took a break from his Purpose world tour to stop by West 4 Tattoo over Mother&apos;s Day weekend. 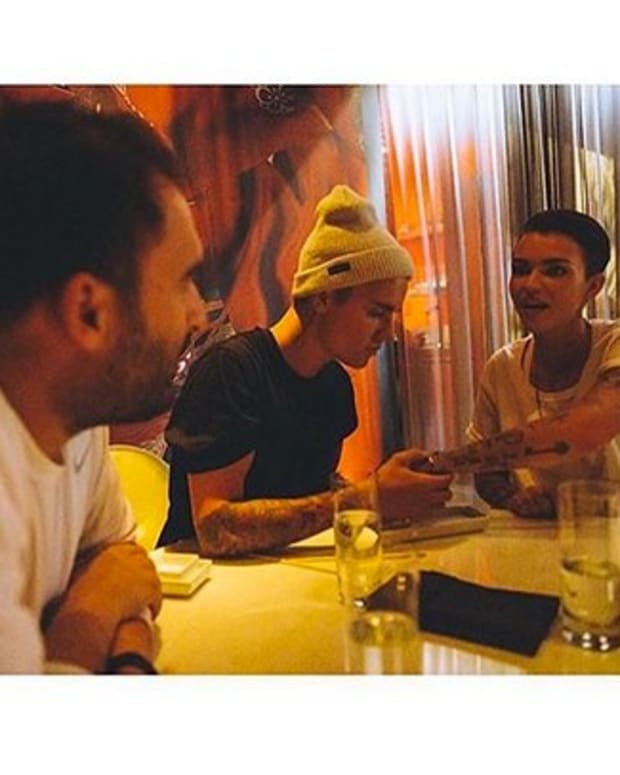 While there Bieber met with the master of tiny tattoos, Jon Boy, who inked a small cross at the corner of his eye. The tattooer told US Weekly, "It represents his journey in finding purpose with God." 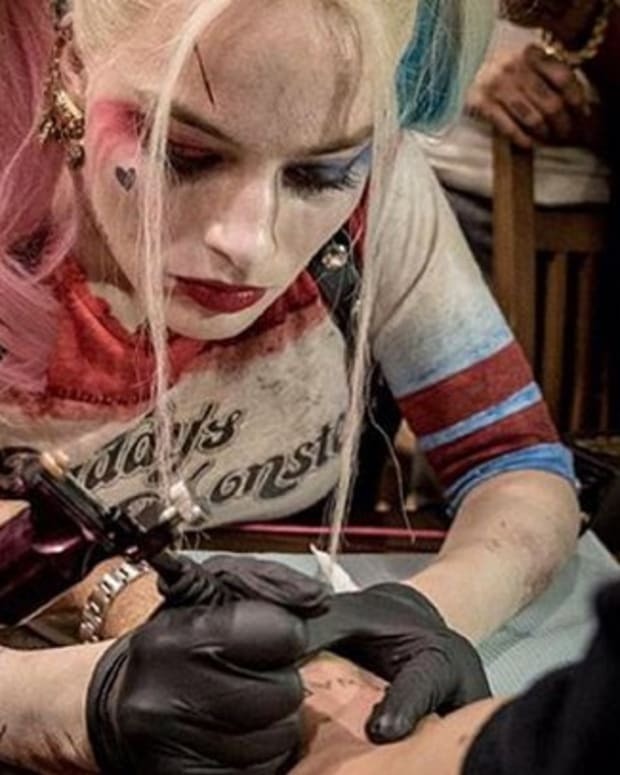 The pop star first shared a photo of the new tattoo on Instagram, but didn&apos;t use the caption to comment on it. He wrote, "Resting up for the show in Philly it&apos;s gonna be a good one mark my words." The post got 1.5 million Likes. 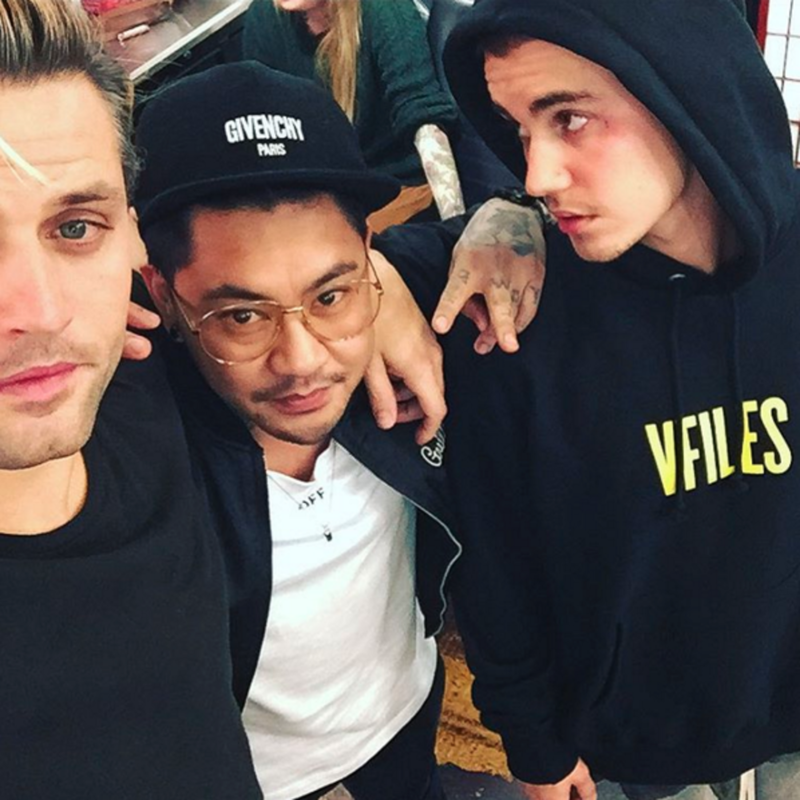 Tattooer Jon Boy also shared a photo of himself with Bieber and photographer Joe Termini. "F A I T H," Jon Boy wrote. Bieber&apos;s face tattoo is so tiny it almost looks like a beauty mark—we&apos;re sure it won&apos;t offend the millions of teenage hearts his melodies have captured. 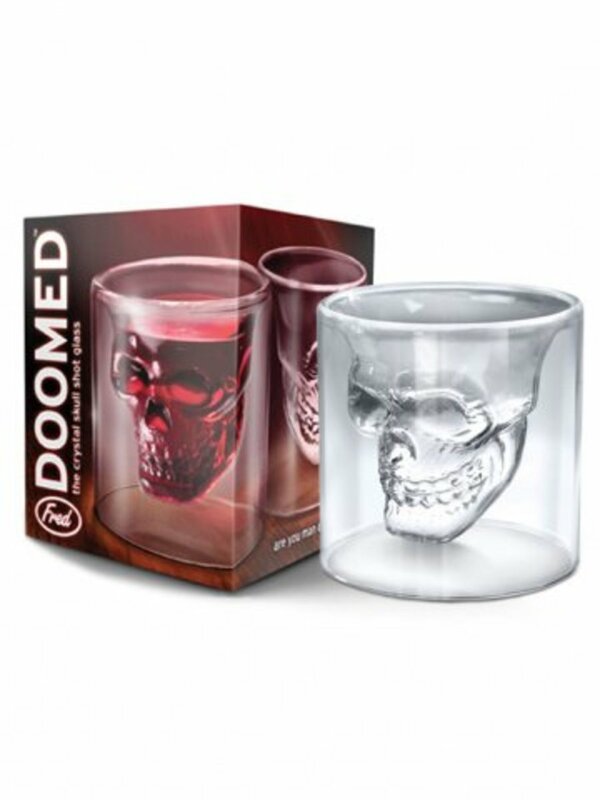 This post was originally published on February 19, 2016. During a recent interview with GQ magazine, Justin Bieber admitted that he’s not a fan of tramp-stamp tattoos, but would definitely consider getting a tattoo on his face sometime in the future. We have quite a long while to wait before that happens though, because according to Bieber, he won’t even think about getting a face tattoo until he’s “really old. Not super old, but maybe like 40s or 50s or something.” No word yet on why Bieber thinks it’s a better idea to get a face tattoo as a middle-aged man, rather than a boy bander in his prime, but it’s something we are definitely willing to wait for to find out. With 52 tattoos and counting, Bieber is a prime specimen when it comes to tattoos, but it would still come as a pretty big surprise if the “What Do You Mean” singer decided to get a tattoo on his face. During his GQ interview on February 10, Bieber was asked how he feels about face tattoos, and his response was, “I think if they’re done right they could be cool. Nothing like super crazy all over the face.” Something “small.” So, in other words, his ink would fall somewhere between Gucci Mane’s ice cream cone face tattoo and Lil’ Wayne’s face full of ink. 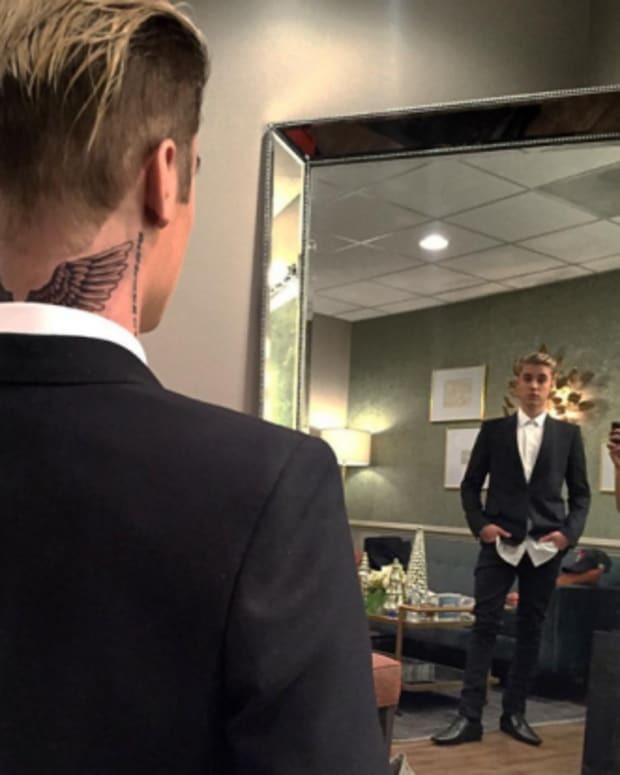 Bieber doesn’t have any face tattoos yet, but he has gotten pretty close, with quite a few tattoos on his neck, including the “patience” tattoo on the side of his neck, the treble clef tat behind his ear, and the new angel wings tattoo on the back of his neck. As much as we believe Bieber would never actually get a tattoo on his face, he has apparently even thought about where he would put the ink, revealing in the GQ interview that he would get “one above my eyebrow or something.” If Bieber called us up right now and asked us to design a tattoo for him to get inked on his face, it would definitely be a little outline of Canada between his eyebrows, à la Rick Ross. Then again, we might offer up the same advice that 50 Cent once gave during a Vibe interview: “To tattoo your face says that there’s not a possibility that you can actually walk into a legitimate establishment without makeup covering your face every day. That does not work.” We may have a couple decades to wait, but we are definitely looking forward to finding out if Bieber actually decides to get a tattoo on his face!